Relax, unwind and enjoy the resort facilities. Heated indoor pool and spa, outdoor pool, tennis courts and a games room are all available. Located a pleasant two and a half hours drive south of Perth, Busselton lies at the heart of some of Western Australia's most spectacular scenery. 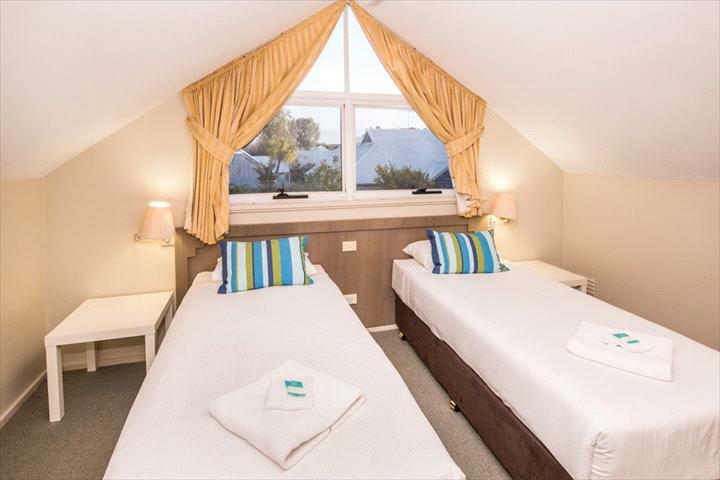 Nestled on the edge of the sparkling waters of beautiful Geographe Bay, the Broadwater Beach Resort provides the perfect base for exploring the region's famous wineries, galleries and beaches. The Resort has an impressive range of facilities in a beautifully landscaped setting. 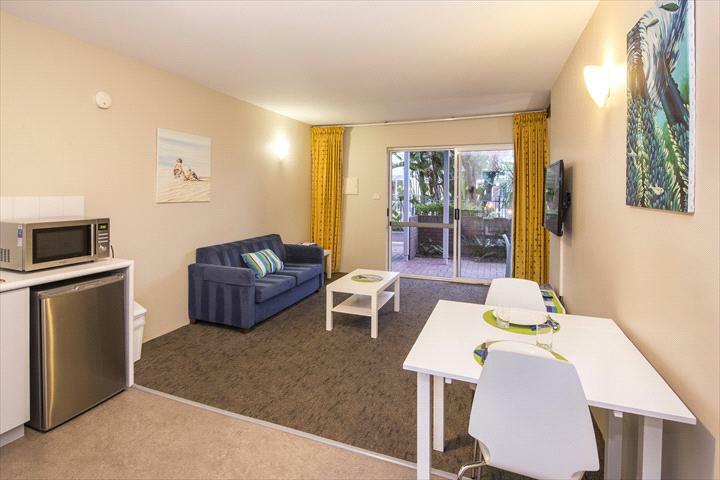 From lazing on the beach to a wide range of recreational facilities, the Broadwater Beach Resort offers the perfect leisure opportunities at any time of year. 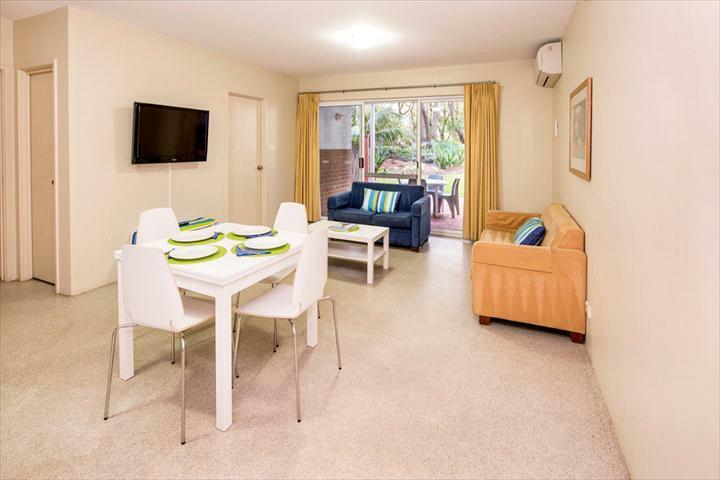 Broadwater Beach Resort offers a range of fully self-contained accommodation options for a superior family holiday environment. 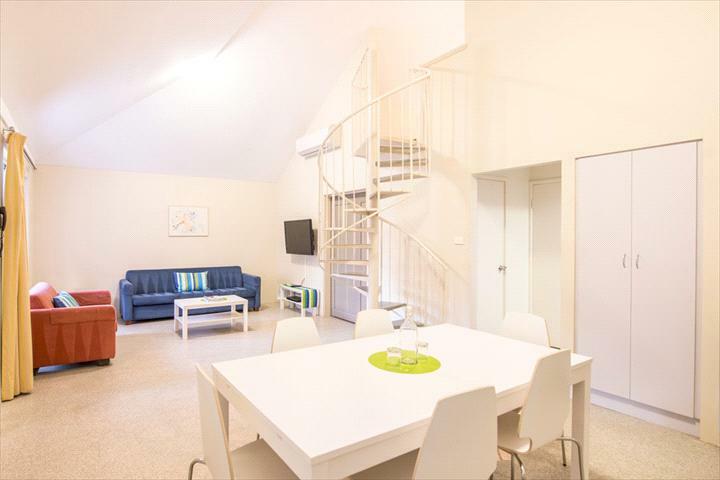 Open living room with king bed, ensuite and kitchenette. 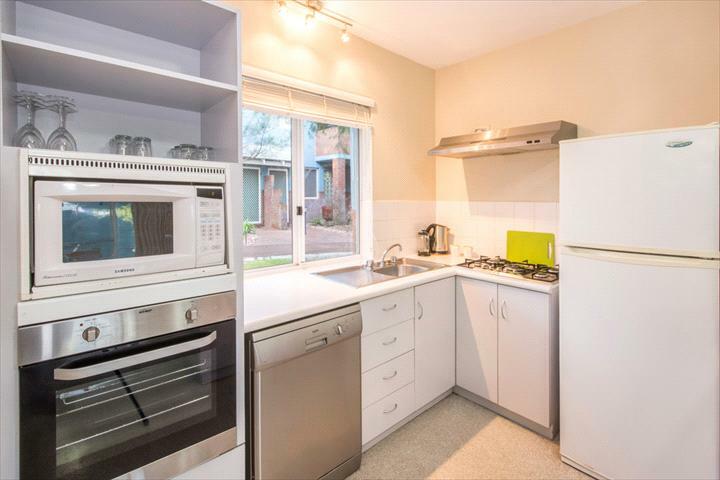 Kitchenette is equipped with a microwave, bar fridge & tea/coffee facilities. 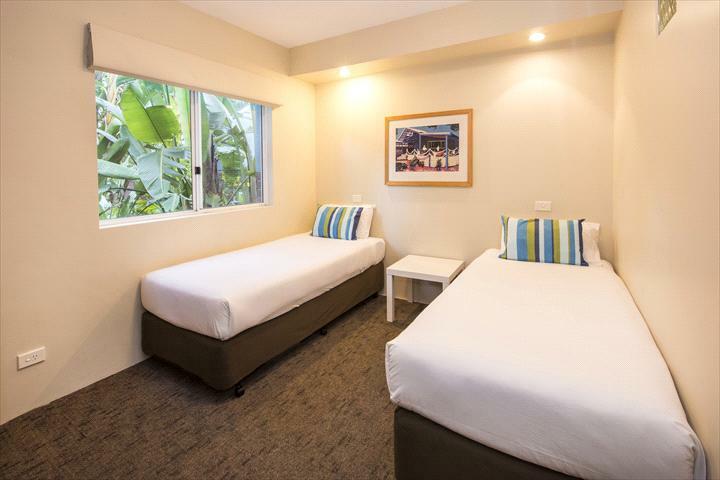 groundfloor entry, King bed in master bedroom, twin beds in 2nd bedroom, bathroom/laundry facilities, lounge/dining & fully equipped kitchen. 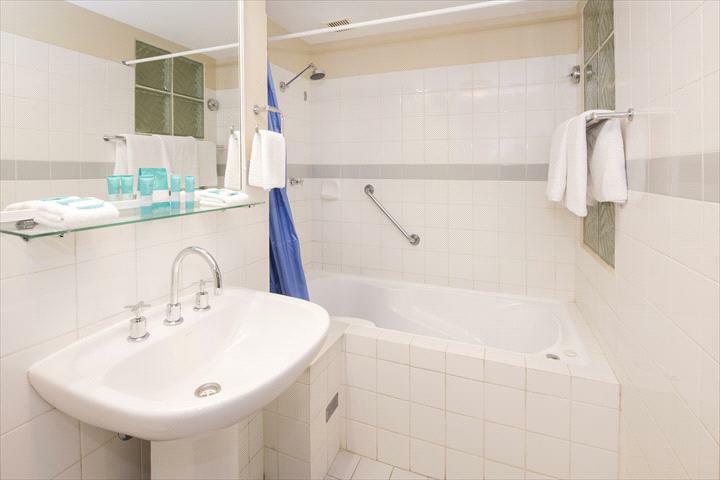 ground floor entry, king bed in master bedroom, ensuite with spa bath, twin beds in 2nd bedroom, 2nd bathroom with laundry facilies & shower recess, lounge/dining & fully equipped kitchen. please note these rooms are not located directly on the beach, parkgrounds located in front. 1st floor entry,King bed in master bedroom with ensuite,twin beds in 2nd bedroom,twin beds in upstairs loft,2nd bathroom with laundry facilities & shower recess, lounge/dining & fully equipped kitchen & balcony. groundfloor entry,King bed in master bedroom,twin beds in 2nd bedroom, twin beds in upstairs loft, bathroom/laundry, lounge/dining & fully equipped kitchen. 1st floor entry, King bed in master bedroom, ensuite with spa bath, twin beds in 2nd bedroom, twin beds in upstairs loft, 2nd bathroom with laundry facilities and shower recess, lounge/dining & fully equipped kitchen & balcony. 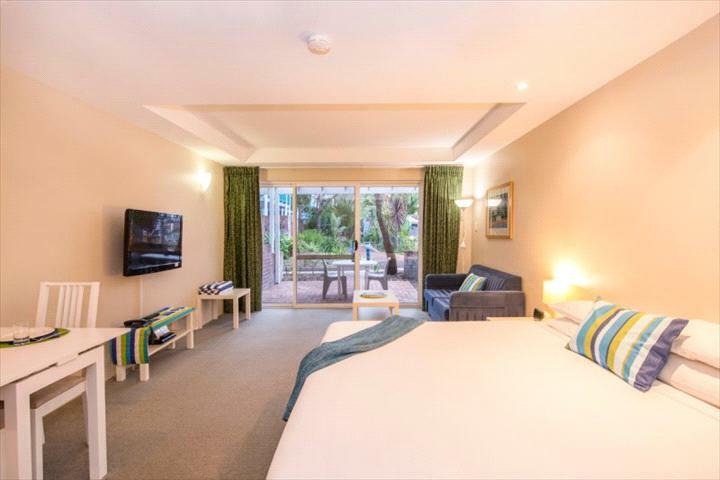 Please note these rooms are not located directly on the beach, parkgrounds located infront. 1 week notice is required all bookings. 30 days notice is required for bookings between December 21st and February 4th. Cancellation fee is equal to the full amount of your booking. In all cases the MRBTAwill retain a $22.00 administration fee and the balance will be forwarded to the Accommodation Property.